Monday April 29, 7 a.m. 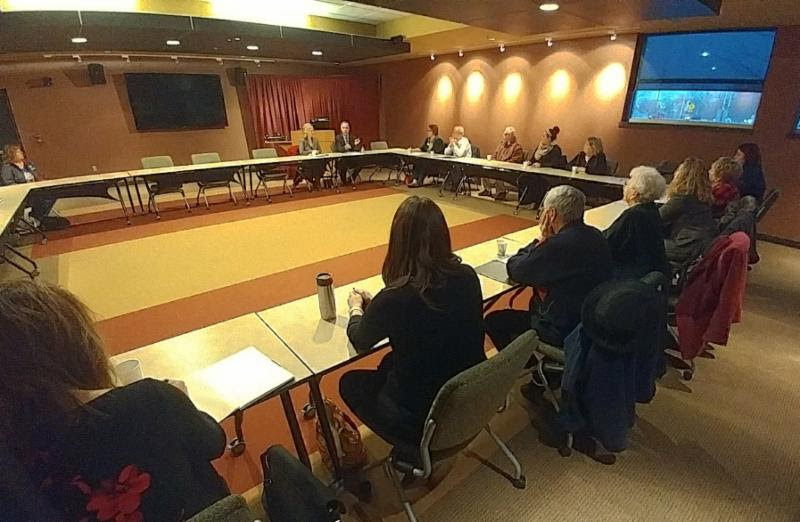 The Burlington Area Chamber of Commerce facilitates the Legislative meetings that are held regularly when the state legislators are in session. Meetings are held at Gateway Technical College, 496 S. McCanna Parkway, in Burlington; meetings are held strictly to a 7 AM to 8:15 am agenda in order that the public and elected officials can get to their respective places of business in a timely manner. The Burlington Chamber provides a continental breakfast and coffee. We would like to welcome you, the public, to attend the meetings. It is a great opportunity to really get to know your elected officials and talk to them on a one-to-one basis. Please RSVP to the Chamber at 763-6044 if you plan to attend our April 29th meeting. The Governmental Relations and Communications Committee was formed in 1982 by Burlington Area Chamber of Commerce as an ongoing committee to further communication and exchange of issues and ideas between elected officials on a city, town, county and state basis and their constituents, discussing governmental and political issues relevant to the Burlington area. Founded by Dr. R. M. Sorenson and Bill Branen, its purpose is to educate the attendees and the public on issues and bills currently before each elected group, as well as give the constituents an opportunity to present suggestions, needs and problems to the officials. Commonly referred to as the Legislative Meeting, this has been an extremely beneficial event for over thirty years.